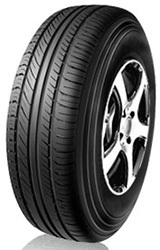 Choose Linglong’s R618 tyres for a great blend of performance, comfort and reliability. These tyres are built to last through anything you put them through and have an excellent level of wear resistance. Benefit from grip and traction in all weather conditions to give you the best confidence while driving that you won’t lose control. These R618 tyres are a fantastic choice at any time.